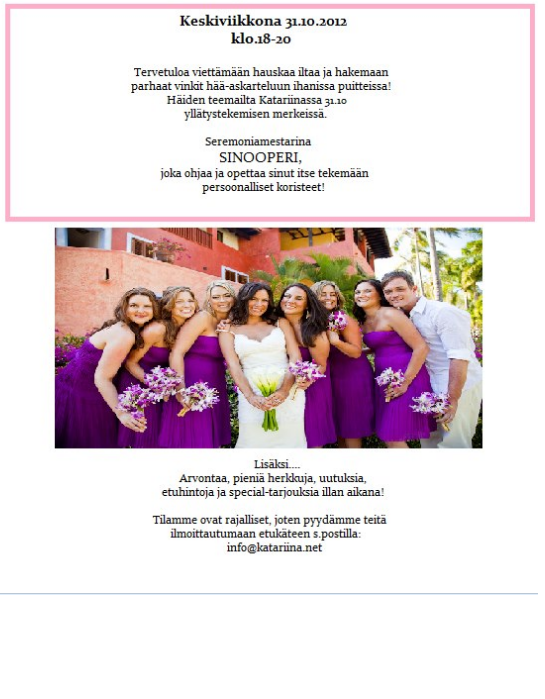 Little advertisement to all the brides in Oulu area or somewhere around. The Bridal Store Morsiusateljee Katariina is having a wonderful evening for all the upcoming brides and their families. There will be new items, discounts, something to eat and some lottery.